What Month is Your Wedding in? You may have chosen a particular month for your wedding for a special reason, there may be a date that means something to you as a couple such as the date you met or the first time you had dinner together. Perhaps you have chosen your date due to the time of year and the weather or that you like the way that the sunset colours the sky in the summer. The first thing that springs to mind at this time of year is the bright white sand and brightness of the sun to influence our colour choice. We have chosen Cream & White to represent January – for your wedding flowers you can expect to find carnations and snowdrops available and they are generally the most popular choice for January. Dress your bridesmaids in matching creams and keep things simple and clean for the whole event. As the weather starts to get a little colder through mid-autumn we have chosen Fushia Pink to brighten up your wedding theme. You can have just a hint or go bold and splatter this beautiful colour all over your wedding. As winter slowly creeps in, think back to all of those autumnal colours that you love! There are some amazing ways to incorporate some hues of Orange into your wedding day. You can go bright a vibrant or soft a subtle, don’t forget that you can mix this into your wedding attire, decorations and even your food or wedding buffet. The birth stone for May is emerald, this colour can look great with the right tint of orange, you can also get some beautiful lilies to match these are in their abundance at this time of year and the apricot shades look great in a wedding bouquet with any type of yellow or green flowers for a warm ambience. We have selected a Spring Green to match the stone for August, the Peridot is an intense olive green coloured gem stone that will be sure to add some much needed sparkle to your 2013 wintery wedding in the southern hemisphere. Choose an exotic blend of spring green and white flowers for your wedding bouquet, these might include Paphiopedilums also known as Ladies Slipper Orchids along with some Lenten Rose, and Freesias. Spring green can also look great paired up with dusty pinks and dark purples – a wonderful combination for a modern outdoor wedding or to brighten up an indoor reception. The birth stone for October is Rose – this can be reflected in both flower type and general colour. The name Rose lends itself to feminine influences and soft tones, for that reason we have chosen Coral Pink to represent this month in our colour chart. For November we have chosen Copper this rich and luxurious colour would suit any bride and groom and formal wedding setting. You can even go as far as having the bride’s bouquet made our of intertwined copper wire for a really unique style. YOU CAN MO YOUR OWN WAY – What is Movember? Movember is a fun and hairy way to raise extra funds and awareness for men’s health, it’s all about getting the boys to grow a unique moustache and wear it with style throughout the month of November! Each Mo-Bro that takes on the challenge will seek out sponsorship from their Mo-Sistas, friends and colleagues who will give some much needed support for their tash growing efforts! With the slogan “Movember – Changing the Face of Men’s Health” this event is recognised in Australia and around the world literally as a walking advert for the cause! There are heaps of ways that you can get involved with Movemeber and while the growing of a Mo is limited to the guys the girls can provide encouragement of growth by donating cash to an individual or by helping to organise another event such as – a movember party, hosting a raffle, organising a fundraising dinner, charity golf day, surf challenge or even a fashion parade to get those Mo’s on display for all to see!! 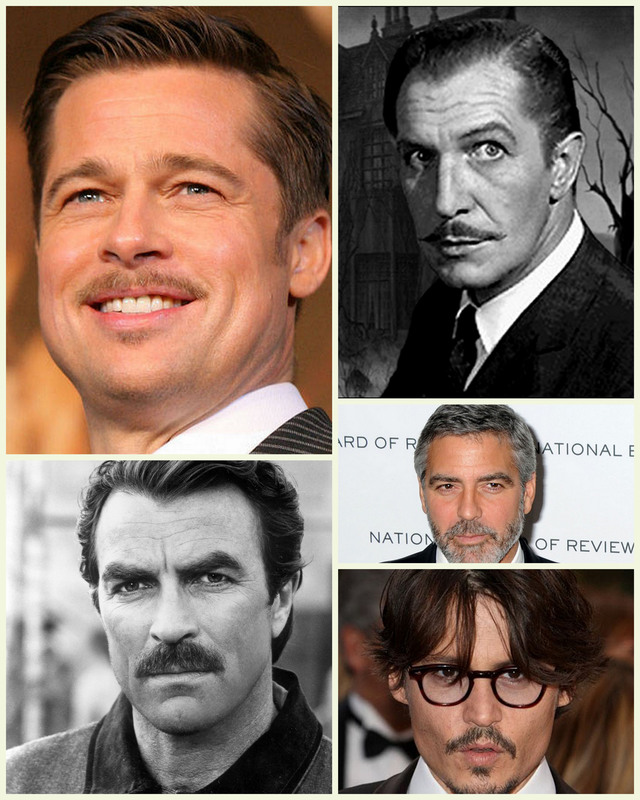 There is something very manly about growing a moustache; and the biggest decision for you chaps will come when the hair in the centre of the lip starts to grow long … this can get messy very quickly and become home to unwanted foreign objects – namely food and drink!! This is the point where you may want to think about your chose style and start the trimming process. However, if you can stand it, it is well worth letting it all grow so you can train the hair to grow out sideways in order to achieve a traditional or handlebar shape!! Holding an event during Movember is a great way to create some fun but more importantly to get friends and family talking about the issue of men’s health. A Movember fundraiser can be hosted at your work place, the local pub or tavern, town hall, a sport’s club or just about anywhere that a moustache can grow. Don’t forget that in Australia all the cash you can raise is used to support the two biggest issues – prostate cancer and male mental health. Your funds raised are directed to projects run by Movember and their men’s health partners, the Prostate Cancer Foundation of Australia and beyondblue: the national depression initiative. The Coolaz team would like to help you create the perfect Mo-Cooler, these personalised stubby holders can be perfectly designed to suit your fundraising event, and with a great unit price for however-many you need you can be assured that they will help you to raise those much needed extra funds! Plus we are giving away a set of ten stick-on Moustaches with every set of event coolers ordered for Movember! These can be stuck onto your coolers or your face lol…! Ideas for a Wedding in Australia at Christmas! The festive season is nearly upon us and what better time of year to bring your family and friends together than at Christmas! If this is a once a year event for you, where everyone comes to one place to enjoy some great food, have a few drinks and celebrate til the early hours then why not throw in a wedding for good measure! There are so many fantastic venues and receptions for whatever style of Christmas wedding you choose and with December being the height of summer you will find some beautiful weather all across Australia. But make sure that you plan ahead … because Australia is so large the weather can vary dramatically from place to place, with the tropical regions in the far north offering a wet and dry season – the wet season lasts for about 6 months between Dec-Mar so don’t forget your umbrella if you’re heading up that way. Be sure to consider some of the more temperate regions of Australia for your destination wedding, these can be found in the southern areas and most parts of the southern east-coast. These areas can be quite changeable with an average of around 30 degrees in the summer months, perfect for a beach wedding or garden ceremony. For those of you without kids don’t forget that the summer holiday for schools also falls at this time and so places can be very busy and will get booked up quickly – so if you have your heart set on a particular wedding venue or resort then best to get planning well in advance! Once you have your venue booked and are prepared for the type of weather you can expect in that particular region then you can start the exciting part of choosing your Wedding gown and bridesmaid dresses (if you are having any). Depending on location you may be heading form somewhere scorching hot so consider light fabrics with a few layers and go for thongs or sandals so that you can be cool and relax into your big day. If you are worried about tropical weather adding some frizz and ruining your wedding hairstyle then it is probably best to avoid North Queensland. If you are a fair-weather bride and heading for southern parts of Australia then you can go for some slightly heavier materials in your wedding dress and add in a few more layers for the perfect look – you should remember that these temperate areas can also be quite unpredictable so you might want to consider a bolero as a backup option just in case the evening turns cool. So you have your date arranged, your venue booked and have started thinking about your wedding dress. Now you should make a start with inviting some guests! Seasonal wedding invitations would be great for this, use festive green and reds to re-enforce your Christmas wedding theme and be sure to send the wedding invitations and save the dates well in advance as this can be a busy time of year for most! Consider using magnets or stubby holders as a quirky invite that your guests will certainly not throw away! Decorate your wedding ceremony with wreaths and bows that reflect the season’s colours and be sure to arrange a wedding cake that doubles up as a Christmas cake, use traditional ingredients so that everyone gets the best of both worlds. If you are having a sit down meal at your reception then include all of the crimbo favourites like roast turkey and cranberry sauce with all the trimmings followed by plum pudding and brandy custard! Don’t forget your table decorations and Christmas crackers along with your bonbonniere doubling up as a Christmas gift. You can design your Coolaz Christmas wedding stubby holders to be a personalised gift for each of your guests, add each individual guest name for a truly unique idea and a special present for sharing their Christmas with you on your special day! Plus they will double up as a place name, the perfect solution for planning your seating arrangements. Top the whole event off with some festive wedding songs on your playlist to get everyone in the mood! Maybe even throw in some Christmas games to get some real camaraderie and festive cheer happening around each of the guest tables! You could even include a quiz on your coolers for a bit of extra fun! Top the whole event off with some festive wedding songs on your playlist to get everyone in the mood! Maybe even throw in some Christmas games to get some real camaraderie and festive cheer happening around each of the guest tables! What and When Is Schoolies? Schoolies or School Leavers are the graduating class of that school year and Schoolies Week is a three week festival celebrating the graduation of Year 12 school leavers across the entire Australian nation. These celebrations have been running for 30 years or so and kicks off each year after the students have graduated, for 2012 this all gets going from Saturday 17 November. This three week celebration is traditionally divided up by state so that each week is a separate party for your own area, Queensland will usually start the proceedings and get things fired up for the remaining 2 weeks. This tradition is considered as a rite of passage for all Australian students, after 12 years of institutional routines, rules and restrictions it is time to transition into ‘the real world’, this week of fun, partying, celebrating with school-long friends and making new ones is designed as a release to celebrate the end of an era and mark the start of new things to come. Traditionally, all students will make their first run down the beach at the beginning of the week and dive into the surf – this is said to represent a leap for freedom! You may have also hear the terms ‘Foolies’ and ‘Toolies’ the first refers to a younger generation, often local kids that simply want to join in with the celebrations and the latter term refers to older tourists that often go in sear of trouble at this time of year – when they use the term ’tool’ this is slang for idiot, many of which will be school leavers from a previous year that still want to party, unfortunately this has been known to find many clashes of interest! When planning your week of celebrations there are heaps of locations that you can go to for schoolies week with most students flocking to the Gold Coast as the most popular choice – with attractions like Dream World, Wet n Wild, Movie World and much more this really is an adventure playground. You can also head for the Sunshine Coast, Byron Bay, Airlie Beach or Lorne where you will find a huge variety of Schoolies venues and accommodation to suit the vibe you’re looking for! As prices for overseas travel has over the years become more affordable, one of the latest trends is to pack you and your friends off to Bali for the ultimate celebration; you can grab yourself a package deal that includes your flights, accommodation, transfers and heaps of extra party goods! There are special organisations that put together these celebration packages for you so that you can rest assured that everything will be prearranged and go smoothly once you arrive at your destination. There is always a clear focus on safety, with nationally recognised support networks set up and local governments on board to provide useful information and a visible presence of law enforcement and security officials will help to keep the fun on track and trouble at bay. With all that aside this is set to be one of the most exciting weeks of your life and one that you and your friends should remember for a very long time. Lots of small groups will club together to create a unique set of gifts to help celebrate, choose customisable items that you can design yourselves – you could include a map or photographs of where you are going, an itinerary list of the week’s events and even your individual names for identification! Make sure you get some personalised stubby holders to keep your drinks cool too, be sure to check out Coolaz coolers for this as they specialise in small numbers and unique designs which is perfect for you and your friends at this type of event!